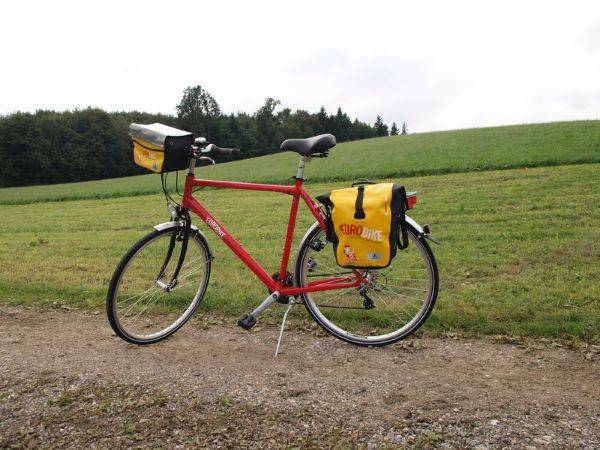 One of Europe’s most popular cycle paths, this family-friendly route along the Blue Danube passes through the picturesque towns and villages of Upper and Lower Austria and Bavaria, and is a perfect introduction to the magic of European cycling holidays. Starting in the pretty baroque town of Schärding in Upper Austria, it’s a gentle ride along easy, mostly downhill tracks through Austria, ending up in the enchanting town of Linz. Short daily stages on well-marked, traffic free paths, frequent breaks for activities and child-friendly hotels make this trip lots of fun for children and grown-ups too. You take a stroll through the pretty little Baroque town of Schärding and can marvel at the famous ‚Silberzeile’ (row of colourful houses). Enjoy the numerous cafés and restaurants on the town square. Miniature versions of the 7 Wonders of the World are displayed all over Schärding and can be admired up close and will take you back into a world of legends and myths. In the evening, welcome meeting and rental bike distribution. Fresh as a daisy you continue the well-maintained and perfectly signposted cycle path along the river Inn to Passau. This town, located at the confluence of tree rivers, with its car-free pedestrian zone is regarded as one of Germany’s most beautiful towns. There will be enough time for you to enjoy ice-cream, cakes or a cup of coffee in one of the countless pavement cafés and restaurants. The afternoon you spend in the adventure-pool ‚Peb’ in Passau (entrance fee included). This swimming paradise with diving platform, wave pool, slides and lots more is one of the most spectacular pool facility in Germany! Today you start at the Southern side of the Danube and cycle along a marvellous route with lovely views all the way to Jochenstein. On a very hot day we recommend a short detour to the outdoor swimming pool in Engelhartszell. Then you continue the Northern side of the Danube through the nature reserve ‚Donauleiten’ all the way to Schlögen. From here you take the ferry (autonomously) and change over to the other side again, where you reach your Day Finish. The nature spectacle ‚Schlögener River Bend’ is straight at the start of today’s stage. Here the Danube hit the invincible granite, which caused a change of direction of 180 degrees. From there you continue along the course of the river Danube all the way to Aschach. A fantastic cycling day amidst stunning nature. Today you can change over to the North side of the Danube again and then continue along the Danube cycle path into the leisure land ‚Freitzeitland Linz’ with its five bathing lakes. 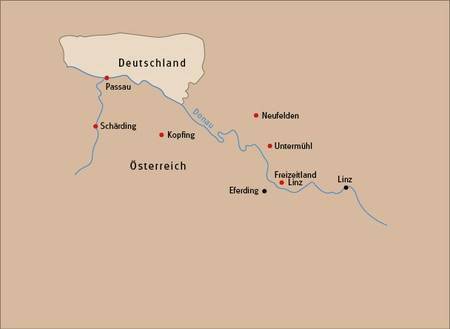 After a splash and a cool-off you continue through the ‚vegetable patch’ of Upper Austria - the basin around Eferding, past Ottensheim and Wilhering into the provincial capital Linz, where you spend the rest of the day relaxing in one of the countless restaurants. The morning is all about the provincial capital of Upper Austria. After breakfast, we recommend a casual stroll through the old part of town, a visit to one of the fantastic museums or to join in the special cultural programmes on offer for the entire family. At approx. 2pm you board the boat to Passau and experience your cycle tour again from a new and unique perspective (arrival time approx. 8.45pm, daily except Monday and Friday, then alternative bus transfer). Overnight stay in Passau. Hotel check out in the morning. After a stroll through the town and a visit to the cathedral (largest church organ in the world! 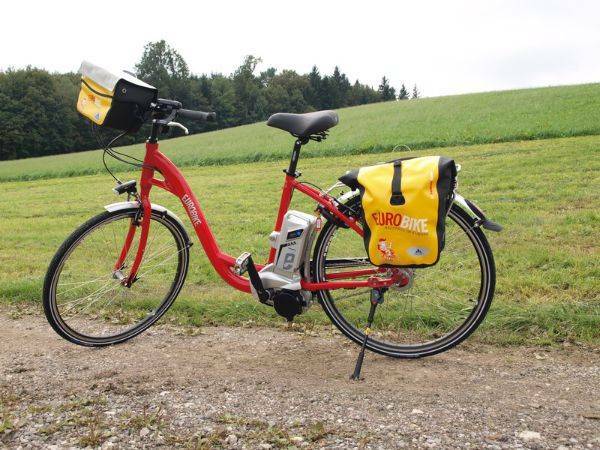 ), you cycle from the ‚Innspitz’, the confluence of the three rivers Inn, Danube and Ilz, on the Inn-cycle-path in the shade along the riverbank. In Wernstein we suggest a short break, in order to enjoy the nature of the narrow parts of the river Inn there. In Schärding you receive your luggage. After that you finally say, “Good Bye” to the Danube. 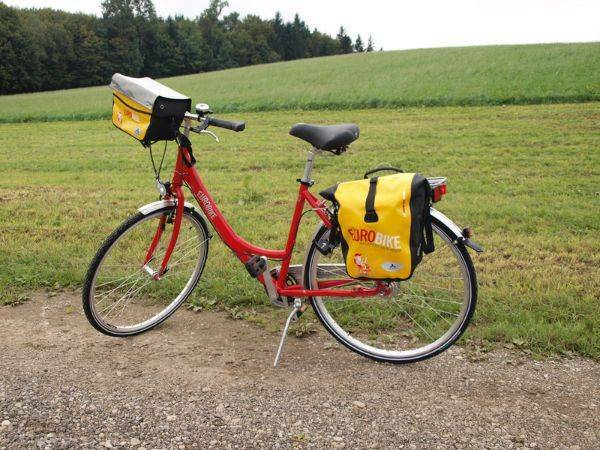 The Danube Cyle Path Family Special cycling holiday includes the daily transfer of luggage to the next hotel and local support if required.